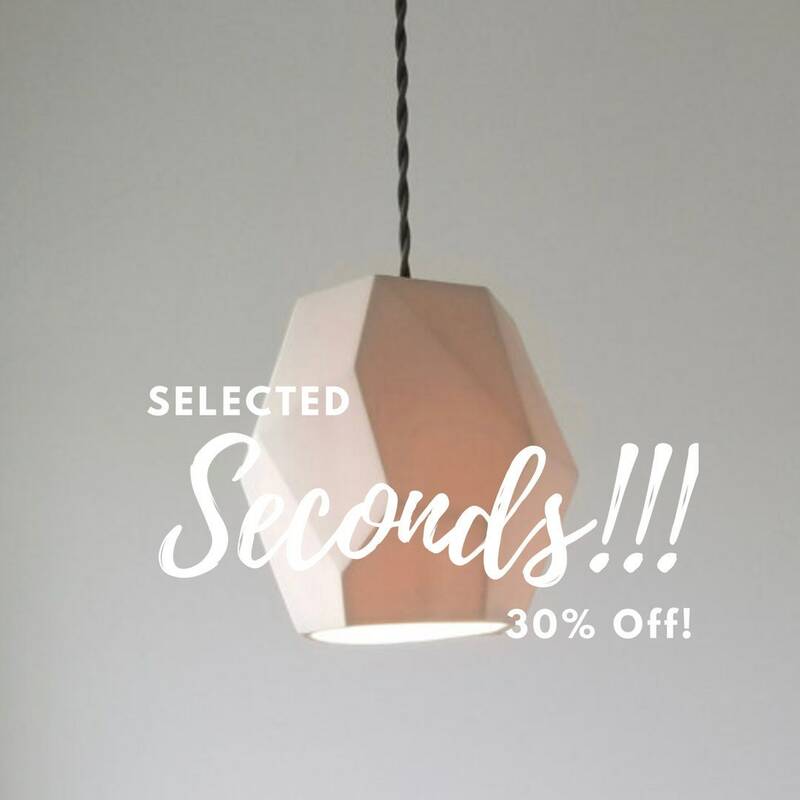 SECONDS Geometric Porcelain Pendant Light, Modern Lighting, 30% off! This light is a SECOND... 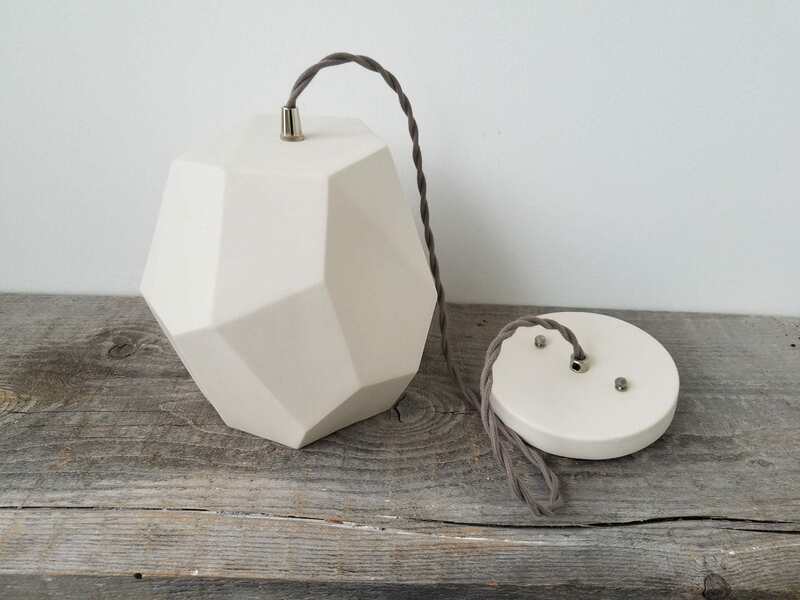 The product is a second because of small imperfections in the clay that appear like little light color dots when the light is on. It is barely noticeable if you don't know what you're looking for. 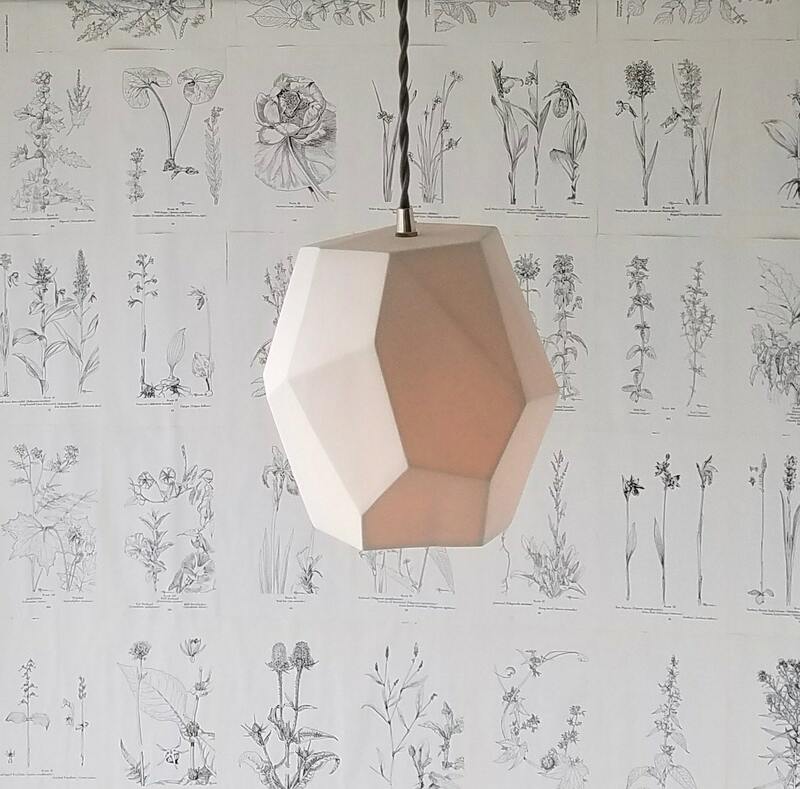 This unique handmade porcelain pendant light holds a single standard (medium) size light bulb. 100-watt MAX. 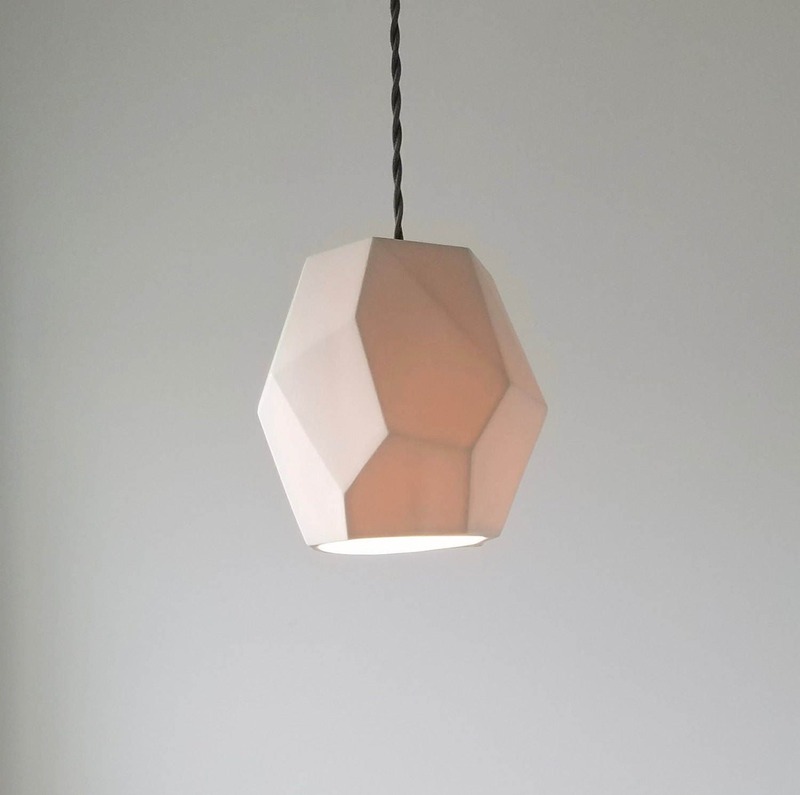 It is compatible with incandescent, LED and compact fluorescent bulbs. Measures approximately 8'' high and 8'' wide. 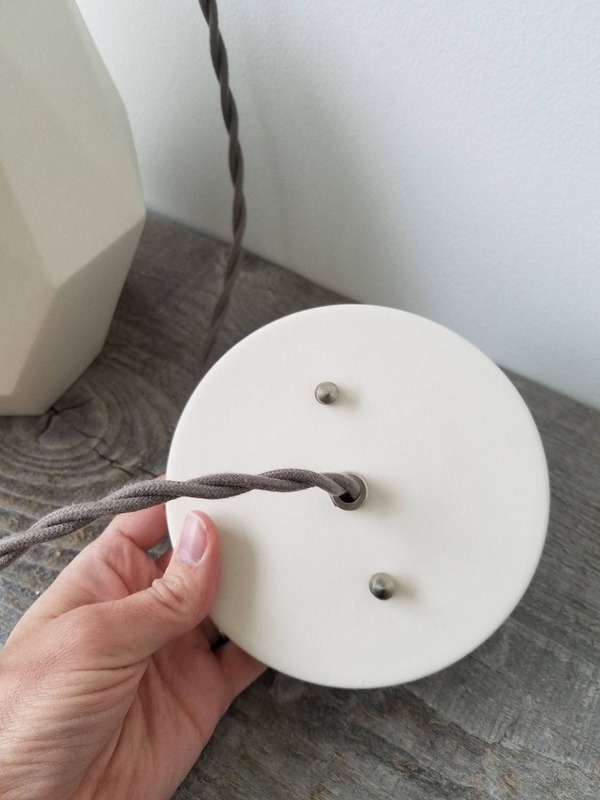 The cord is adjustable up to 36'' long. 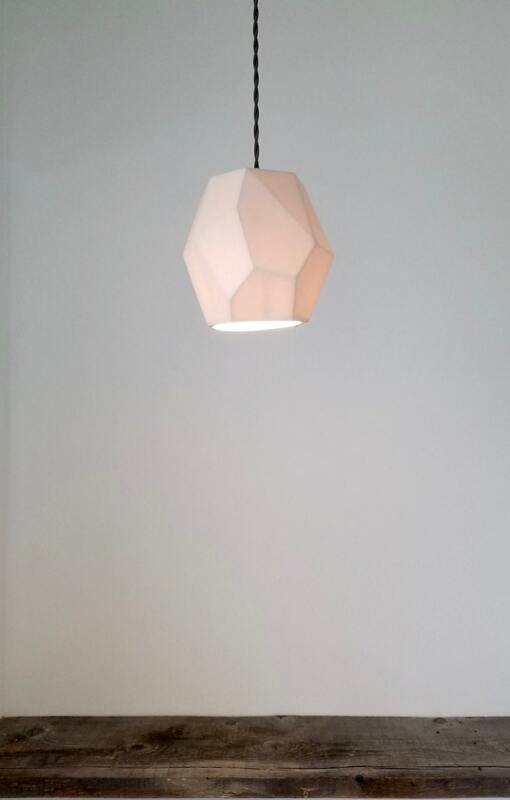 Single porcelain socket. All mounting hardware is included. We use only high-quality parts.